Please Note: To search for sections you need to enter the 3 character subject abbreviation or CRN (course reference number). 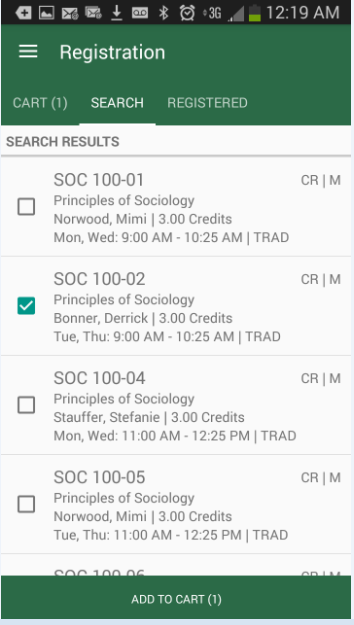 For example, if searching for an Sociology class you will need to search for SOC. Select the class that you want to drop. Select Drop located at the bottom of the screen. PREQUISITE AND TEST SCORE ERROR:You currently do not meet the prerequisites to take the class. If you feel you meet the prerequisite requirements, through prior coursework or work experience, please log into MyWCC and submit a prerequisite override request. 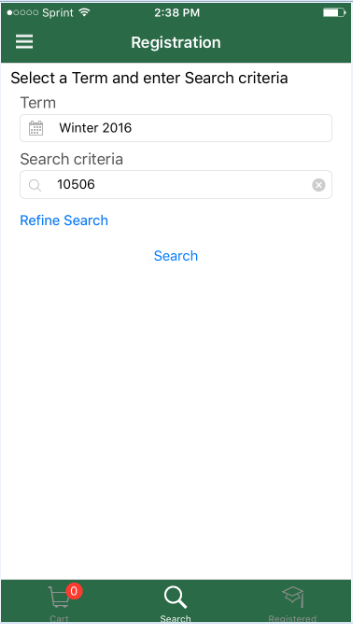 Find the missing component by accessing the class schedule. Be sure to note the CRN. Add both classes to your shopping cart. 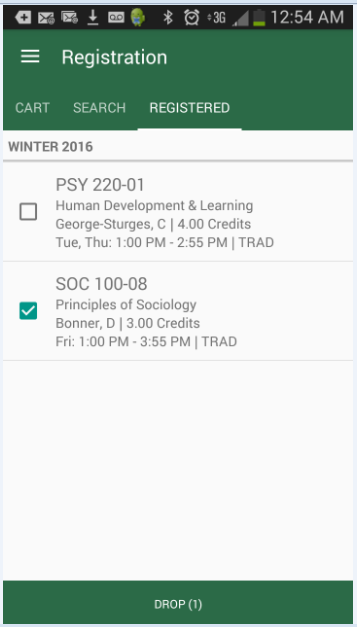 Register for both classes at the same time. TIME CONFLICT ERROR:You’ve tried to register or join the waitlist for two classes that meet at the same time. 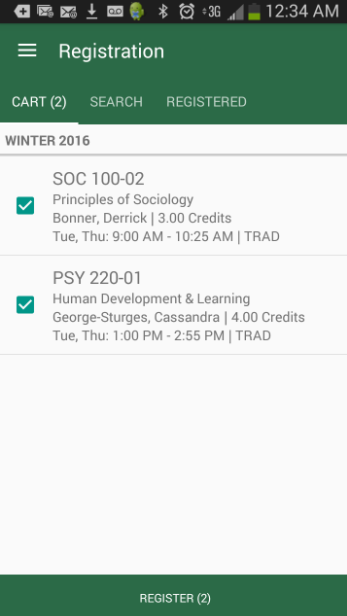 To fix this problem, go back to the class search menu and choose classes that don't overlap. CLOSED - # WAITLISTED:You've tried to register for a class that's full. The easiest fix is to go back to the class schedule and choose a section that still has open seats. To add your name to the course waitlist you will need to log into MyWCC. 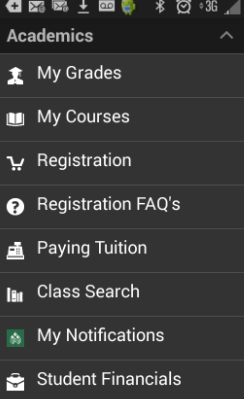 Navigate to the add/drop course page and attempt to register for the class. You will then be given the option to add yourself to the waitlist. 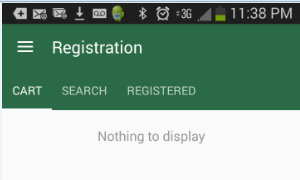 HELP WITH REGISTRATION ERRORS: Please contact Student Connection at 734-973-3543 for assistance. If you are a continuing or readmitting student and are on any kind of hold, you must have the hold released before you will be allowed to register. You can check to see if you have any holds by logging into MyWCC.